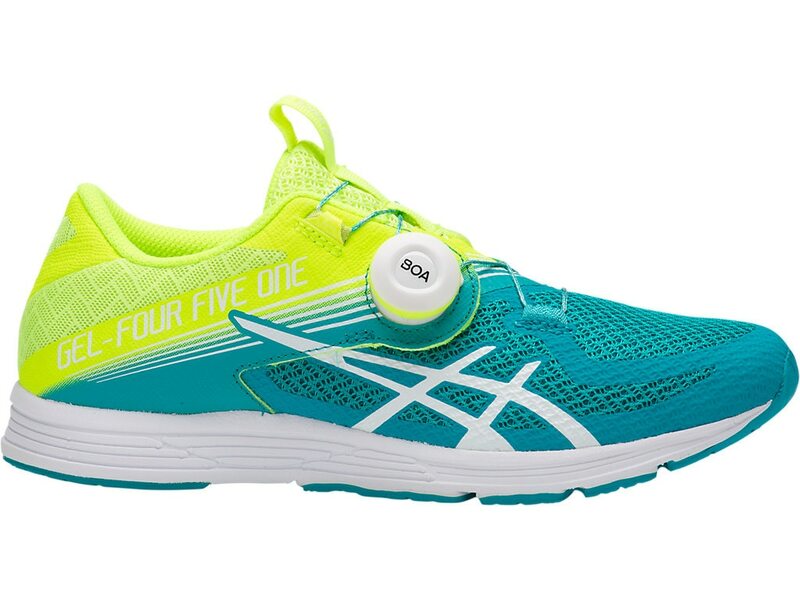 New to the lineup, GEL-451 serves up unrivaled speed with an exceptional fit. In lieu of traditional laces, the innovative BOA Fit System features a micro adjustable dial that perfectly distributes tension for a precision fit that's achieved with one hand. Combined with GEL cushioning and Guidance Line Midsole Technology, the GEL-451 promises a competitive performance and comfortable ride. BOA systems contain three integral components: an instant release dial for precision fit; lightweight and strong laces; and low friction guides to ensure a smooth closure.